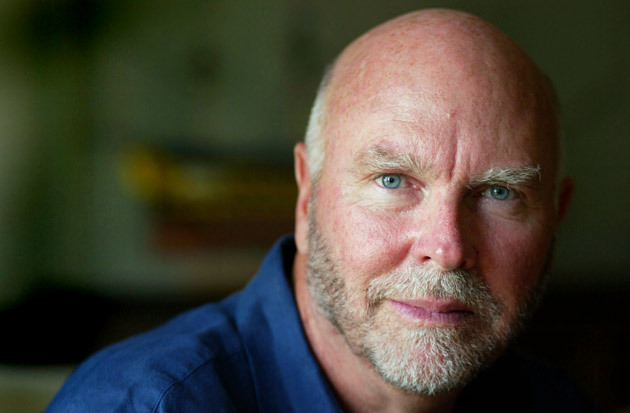 This is Craig Venter. His institute has received 1.25 million dollars from the Ruggles Family Foundation to study the biomarkers of healthy aging. The study, conducted by a team of scientists and clinicians from JCVI and WCHN, will focus on two groups of elderly individuals aged 65 to 85 years by correlating genetics with a variety of human genomic, gut microbiome and other “omics” profiles and integrating these data with the individuals’ health record. One group will consist of healthy individuals, and the other will have individuals with a variety of diagnosed health conditions. This study makes no sense to me, because they want to look at the differences in health between sick people and even sicker people and call the results of the study markers of healthy aging. They propose to measure the right things, but what the study planners are missing here is the fact that aging itself is a disease. Aging can’t be healthy, because the underlying biological mechanisms that are causing age-related pathologies are active also in those aged individuals, who don’t have those diseases. To give you an example – manifestation of type 2 diabetes means that the cells lost their sensitivity to insulin, however really a lot of older people, who don’t have type 2 diabetes, have impaired insulin sensitivity. These people are considered to be just old, but not sick. That’s exactly what’s wrong with perception of aging. Everyone who reached a certain age is considered to be simply old, but not ill. However this person is 100% not healthy in a biological sense, because a lot of detrimental processes have already started their poisonous actions and altered the youthful state of the organism. In order to find the biomarkers of aging the study design should be different. The control for an individual should be the very same individual. Let me explain. We are very different in the biological sense from each other. So, to draw conclusions about a person’s aging processes, based on a given set of parameters, we have to measure those parameters several times in the beginning of the experiment to identify the baseline for the person. Then by measuring those parameters in the long run we will be able to see the changes in levels and make conclusions regarding the underlying mechanisms of aging. Also that would be the way to judge the efficacy of interventions like caloric restriction and melatonin, or rapamycin, or other drugs. Of course, the exact study design description would be more complicated, I am just pointing out the main things here. But again, the idea is not to distinguish sick people from sick people with diagnosed diseases, the idea is to identify how the sickness, i.e. aging, can be characterized. Here’s what important – we need to change the perception of aging, so there would be no confusing terms like “healthy aging”, which is an oxymoron. It’s like “dignified poverty”, or “merciful tyrant”. Aging is not and can not be healthy. Aging is itself a disease. It is also the cause of many other maladies like Alzheimer’s and stroke, and many others. We have to stop using the term healthy aging, because it is already making us conduct poorly designed research experiments.